There are so many kinds of lip balms out there, but it can be hard to find just the right one. What’s the solution? Make your own, of course! It’s surprisingly simple to whip up a batch of lip balm or tinted gloss that’s perfectly customised to your liking. We have been dabbling in the whole making your own lip balm with Naissance Natural Healthy Living and their innovative DIY lip balm kit. All you need is a base of beeswax or cocoa butter, a flavour, a tin, and you’re done! So let's see how we got on. Naissance found its humble beginnings in the foothills of the Brecon Beacons mountains in 2005. 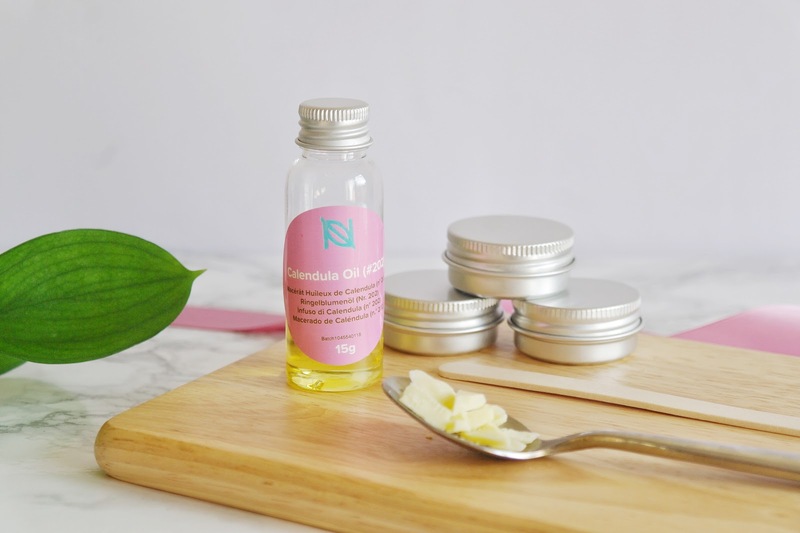 Where they offer a whole range of essential oils, carrier oils and natural raw ingredients that are all carefully sourced from all around the world, ensuring that provide only the best quality natural products for our customers. They try their best to offer a little something for everybody, from high quality essential and base oils, to finished products to simply enjoy. Naissance have a drive thrive in the field of natural raw materials and ingredients to make people aware of the importance of organic and natural products not only for their health but also for the overall health of our planet. I must admit I had never heard of them before, which I kind of regret. As they literally have so many different natural products to offer, so there is sure to be something for everyone. For those who are looking to get creative, they also have a selection of natural raw ingredients such as a waxes for candle making, ultra-hydrating and nutrient rich butters to add to moisturisers, natural preservative Vitamin E, cooling aloe vera and much more. 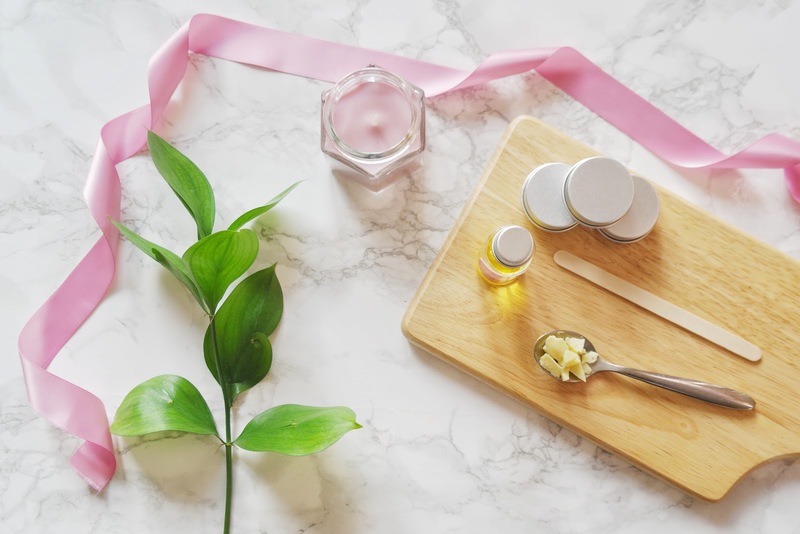 I wanted to tell you about their make their own lip balm kit, because let's face it our lips could all do with a little extra care to keep them nourished. I honestly cannot wait to welcome the warmer weather. Unleash your inner creative side with this easy to use make your own lip balm kit. 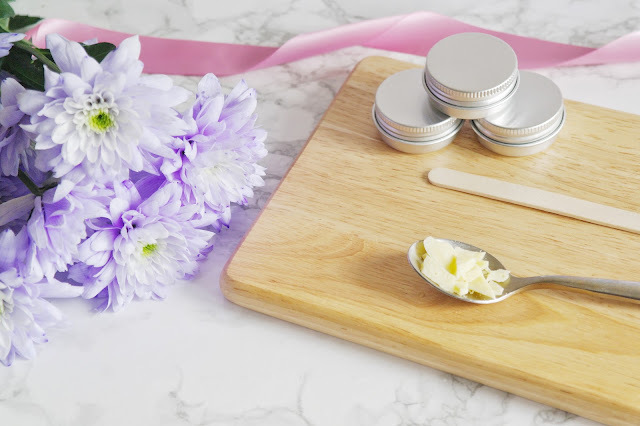 It would make the perfect gift for a lip balm lover or beauty hacker, or why not make them yourself and give them away as wedding favours, stocking fillers or party bag treats. What makes this kit even more appealing is the fact that because you are making them yourself, you know exactly what is going in your lip balms and making them from scratch is a little intriguing, not forgetting fun. These natural ingredients have been chosen for their all-natural benefits. The enriching quality of natural Vitamin E with its antioxidant properties, combined with the moisturising qualities of Cocoa Butter and Coconut Oil and the soothing benefits of calendula oil are perfect for leaving your lips soft and nourished. 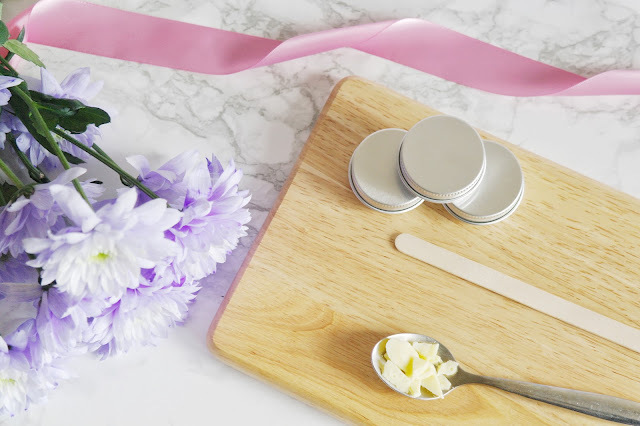 This DIY recipe is probably the simplest lip balm ever and yet it is by far my favourite. Cocoa butter is a wonderful ingredient as it is so very rich and creamy. Best of all, it is very easy to manipulate as all you need to do is cream it together. Place the Cocoa butter in a mortar & pestle and give it a good beating until it is thick and creamy! The more you ‘whip’ it, the creamier and fluffier it will get. 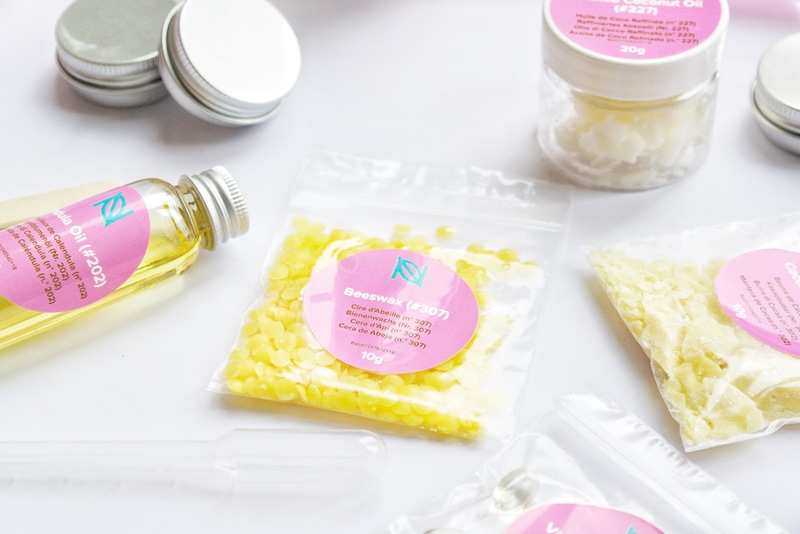 This Naissance kit is 100% vegan and cruelty free as well as a few of their other kits which you can find on their website. There's a variety to choose from like DIY bath bombs to body scrubs so there's something for everyone. How do you create your own lip balm? Start off by finding a bowl and a saucepan to make your home made double boiler. Fill the saucepan with water, place on the hob and bring to a boil. Open then Vitamin E capsules, squeeze out all the oil into a mixing bowl and then place all the other ingredients into a mixing bowl. Reduce the heat to a simmer and place the bowl in the saucepan. Then melt the ingredients in the bowl while stirring with a wooden spoon and once the ingredients are melted turn off the heat. Next take the bowl out of the saucepan and pour the oils into the small plastic jug provided. Pour the liquid oils into the metal lip balm tins being careful because the oils will hot. Try and avoid contact with the skin, clothing or anything delicate. Finally leave to cool in the tins and then they are ready to use. Simple! By now you should have some lovely, homemade lip balms. Keep them to yourself or share them with the world. Personally, we would put on in the car, one in the handbag, the bedroom, coat pocket so then you will always have a back up for replenishing those lips. Do you think that you would try and make your own lip balms? Don't forget to go and check their website they have some amazing ideas for gifts. 7 comments on "Naissance: Make Your Own Lip Balms"
This looks like so much fun! Love your images too! You don’t know how much I am loving this post right now!! My lips are dying right now with this awful weather! !